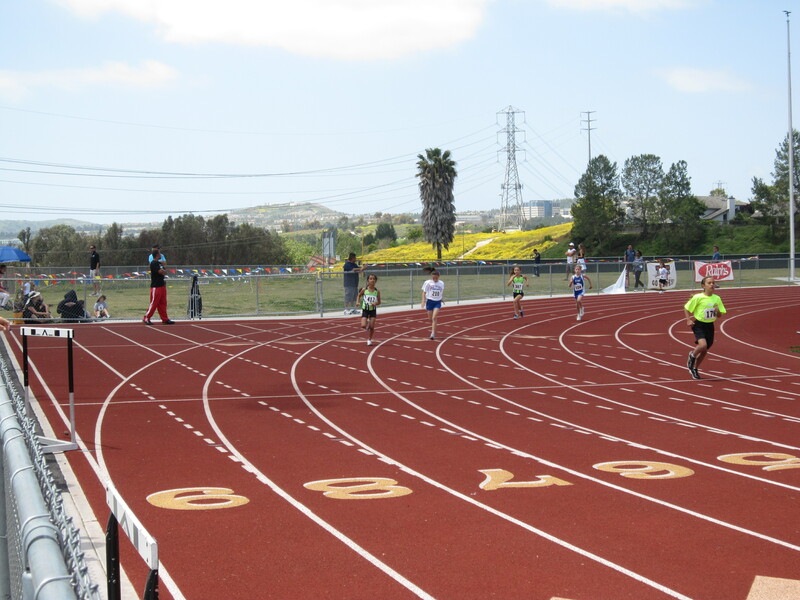 Last weekend was the SCMAF Orange County meet down in Laguna Hills. 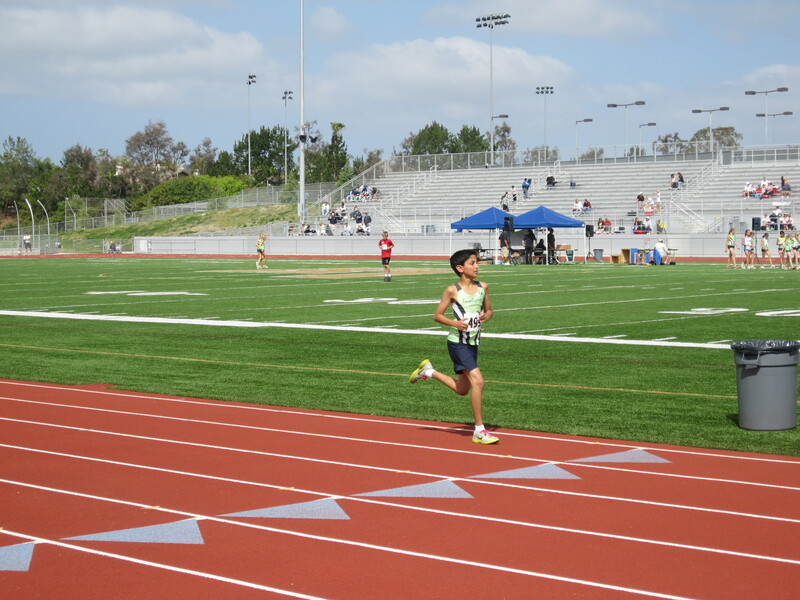 Nikhil ran the 1600 meter and got 2nd place with another PR down to 5:34. 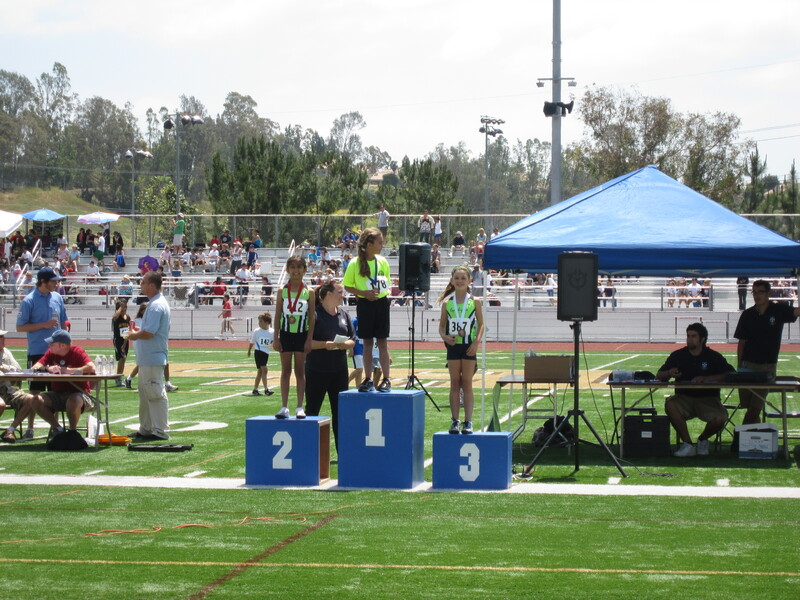 After his run, Annika ran in the 400M and 200M and got 2nd and 4th place. She improved her 400M time to 82 seconds which was a 5 second improvement from a couple of weeks ago. Here she is on the outside lane on the way to the finish. Here is Annika on the podium. Both qualify for the Southern California finals coming up in a few weeks.